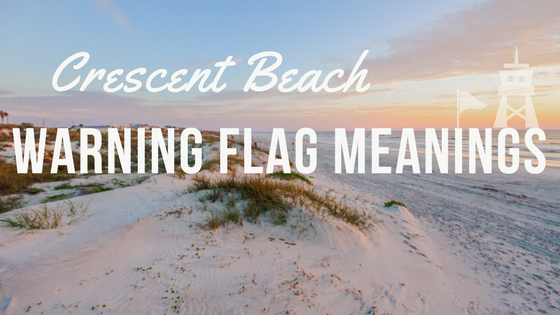 We have guests from all over the United States come stay with us and many of them don’t know what our beach flags mean. There’s always a sign that explains what they mean but not all notice it. I can’t tell you how many times I am asked what the flag means, and I am always happy to answer as I want all of our guests to stay safe at all times. When you see double red flags that means the beach is closed to the public. You might be asking why. Most of the time it is because we have a horrible storm out there or an environmental issue that is presumed to be unsafe. Officials only close the beach when absolutely necessary. 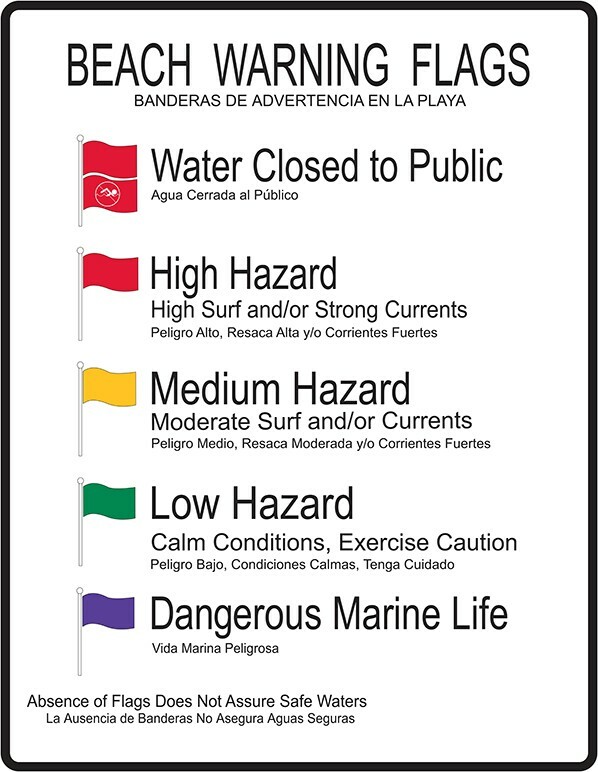 One red flag means that the surf is high and or strong currents. Even if you are an excellent swimmer it is still advised to stay out. Rip currents and under toes can take out even the strongest of swimmers. The main people that you will see in the water during a red flag are our local surfers. They never want to miss out on a chance to experience some tubular surf. The yellow flag. This means moderate surf and/or currents. If you are not a strong swimmer it is advised to enjoy the rays and sand between your toes instead of going for a swim. The water is usually extremely chopping during a yellow flag and the chance of strong currents developing is likely. Again you’ll probably catch a few surfers trying to hang 10 on a yellow flag day. When you see a green flag that is a great thing. This means the waters are calm and more ideal for taking a dip and enjoying. No matter the color of the beach flag you must always use caution when playing with mother nature. Purple flag means dangerous marine life. Usually this sign is used the most during peak jellyfish season. Nobody enjoys a jellyfish sting so the flag is used to prevent people from being harmed from various dangerous marine life. Now you might be asking, “what if I don’t see any beach signs?” The absence of beach flags on Crescent Beach doesn’t mean it is safe or dangerous. It just means that you need to err on the side of caution. If the water is choppy or wind is strong then you will want to treat it as a yellow flag or higher. We must all use caution and keep our wits about us when playing in mother nature’s paradise.